TALLAHASSEE, Fla. — Redshirt senior Alex Powers closes out her career at Florida State with the top academic honor in the conference as the first baseman was named the 2017 Atlantic Coast Conference Scholar-Athlete of the Year and headlines the All-ACC Academic Team, as announced by the league last week. 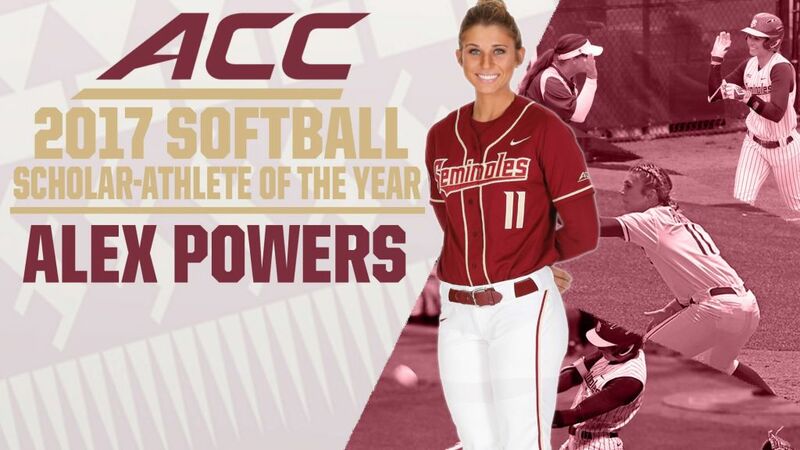 Powers is just the second Seminole student athlete to be chosen as the ACC Scholar Athlete of the Year, joining Kelly Hensley from 2013. 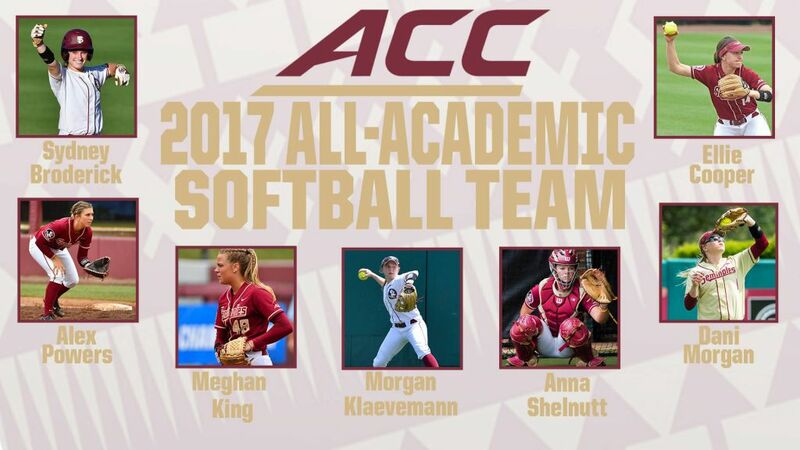 Powers, along with Sydney Broderick, Ellie Cooper, Meghan King, Morgan Klaevemann, Dani Morgan and Anna Shelnutt, are all members of the 2017 All-ACC Academic Team as Florida State leads all conference schools with seven selections. Notre Dame received five honorees, followed by Louisville and Virginia Tech with three apiece. The Melbourne, Fla., native helped lead the Seminoles to an undefeated 24-0 conference record in 2017, as well as advancing to the Super Regional round of the NCAA Tournament for the fifth consecutive season. Powers holds the FSU record for career doubles (51), while her 19 doubles in 2017 is tied for the most in a single season in school history. Overall, she ranks in the top 10 of FSU career or season records in 13 different categories. The ACC Honor Roll, which recognizes all conference student-athletes with a grade point average of 3.0 for the current academic year, will be released later this month. Another former FSU player, Yuruby Alicart, continues to play for her home country of Venezuela and finished in third place at the Canada Cup. Alicart posted a .300 batting average with a double, a triple, three home runs, seven RBI and nine runs scored as Venezuela fell just short of an appearance in the championship game. Alicart left the Seminole softball in 2007 as one of the best offensive players in program history, but the recent careers of Jessie Warren, Alex Powers and Maddie O’Brien have built on the foundation of numerous records she set during her time in the Garnet and Gold. 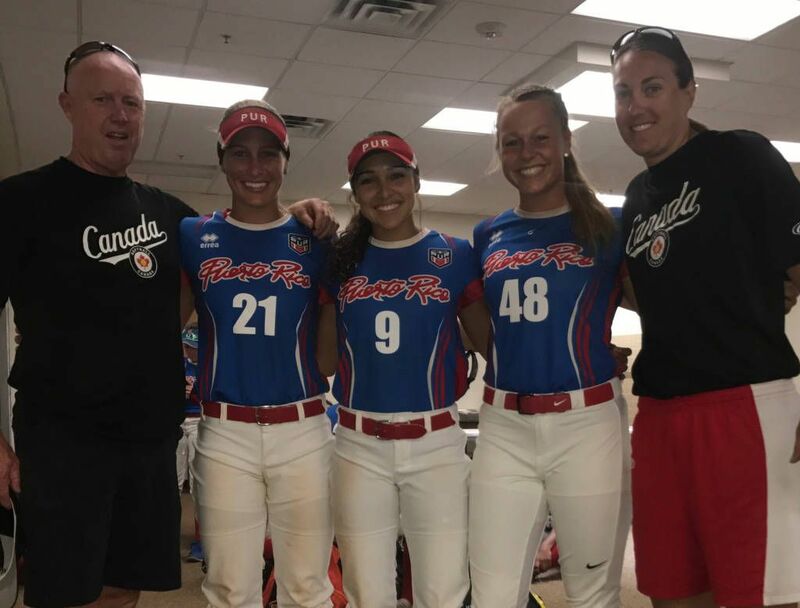 The summer international competitions continue this summer as the World Baseball Softball Confederation hosts the Junior Women’s Softball World Championship in Clearwater, Fla., on July 24-30. Sherrill and the USA Junior National Team will compete alongside 25 other teams and will start round-robin play in Pool A with Chinese Taipei, Guatemala, Italy, Philippines, Turkey and South Africa. The WBSC will also host the 2017 Pan American Championship on August 4-13 in the Dominican Republic. Among the 20 teams that will be competing will be Puerto Rico, Venezuela and Canada. Former FSU captain, and current New Zealand National Team captain, Ellie Cooper will lead the White Sox on a trip to Japan for the remainder of July, playing in 16 exhibition games against Japan Women’s League Softball teams, as well as the Japanese U-23 National Team.